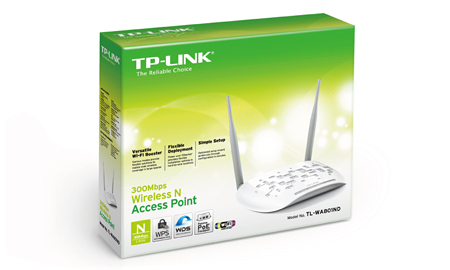 What This Product Does The TP-LINK Wireless N Access Point TL-WA801ND is designed to establish or expand a scalable high-speed wireless N network or to connect multiple Ethernet enabled devices such as game consoles, digital media adapters, printers, or network attached storage devices to a wireless network. The APs support a host of different functions that makes your wireless networking experience more flexible than ever before. Now, you can enjoy a better Internet experience when downloading, gaming, video streaming or with any other application that you may wish to use. 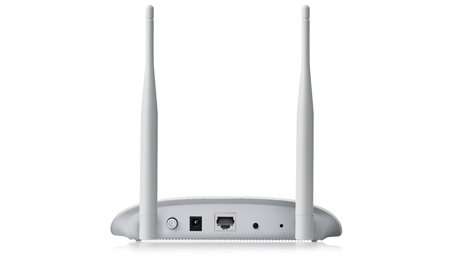 Wireless N - Speed & Range Adopting IEEE 802.11n advanced MIMO (Multi Input Multi Output) technology, it simultaneously works through two antennas to Tx and Rx to overcome the interference and signal degradation when traveling long distances or through physical barriers in a small office or a large apartment, resulting in an incredible improvement in the wireless performance, even in a steel-and-concrete building. Above all, you could easily pick up the wireless network during long-distance connection where legacy 11g products may not! Multiple Operating Modes - Easy to Build WLAN Supports multiple operation modes (Access Point, Multi-SSID, Client, Universal/ WDS Repeater, Bridge with AP) to enable various wireless applications to give users a more dynamic and comprehensive experience when using their AP. Multiple operating mode also helps you easily to build wireless network for hard-to-wire locations or eliminating wireless dead zone. WPS Button - One Button Setup Security The TL-WA801ND features Wi-Fi Protected Setup™ (WPS) that allows users to almost instantly setup their security simply by pressing the "WPS" button automatically establishing a WPA2 secure connection, which is more security compared with WEP encryptions. Not only is this faster than normal security setups but more convenient in that you don’t need to remember a password! Passive PoE Supported- More Flexible Deployment The TL-WA801ND is able to be powered using an Ethernet cable to simultaneously send data and electricity to wherever your AP may be located even up to 100 feet away. This feature multiplies your options allowing you to place the AP in a position that is most convenient to get the best signal possible, such as on the wall or on the ceiling of your office. 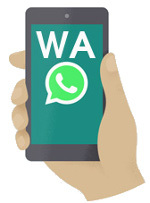 WPA / WPA2 Encryptions - Advanced Security As for the security of WI-FI connection, WEP encryption has been no longer the strongest and safest guards for outside threats. 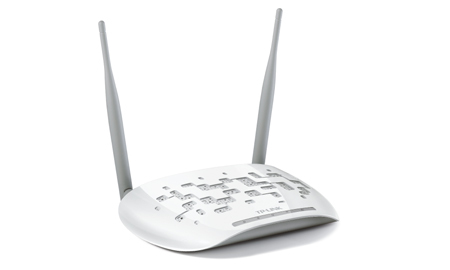 TL-WA801ND provides WPA/WPA2 encryptions (Both Personal and Enterprises) that are created by the WI-FI Alliance industry group, promoting interpretabilities and security for WLAN. Easy to Use The device comes with a built-in Quick Setup Wizard on the management software. 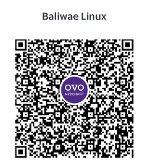 With a simple and user-friendly interface, it leads all Windows, Mac and Linux users through the setup process step-by-step, and even helps with wireless network settings and security configurations, which is convenient to the users, especially for novice users.